May we be unashamed of the Gospel. The Gospel is more than the merciful hug of God, it is the divine enabling power of His Spirit to transform a human life from the inside out—to supernaturally equip us to live a life that would be impossible in our own strength. Love, joy, peace, victory, and triumph are not meant to merely be nice-sounding Scriptural concepts, but rather the daily experience and outflow of the Christian’s life. 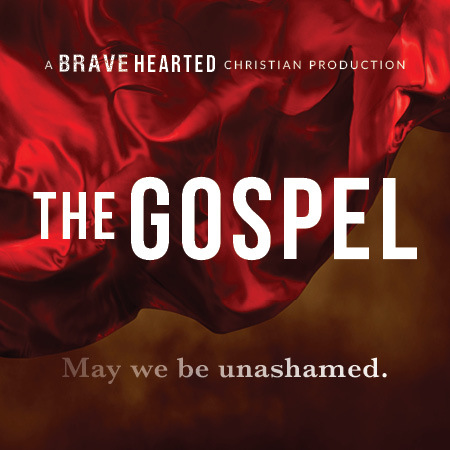 This short film is a bold declaration of the triumphant Gospel of Jesus Christ. When most of us assume salvation is the end game of the Gospel, Eric Ludy explains that it is only the beginning. This film walks you through the life-altering aspects and reality of the powerful Gospel revealed in Scripture—showing what the Christian life can and must look like. Copyright Note: this film is copyrighted by Ellerslie Mission Society and Bravehearted Christian and may not be resold, uploaded online for any reason, or distributed without permission from Bravehearted Christian. This film may be shown to groups with the proper group size license purchased above. For questions about usage and/or copyright, please email [email protected].